"Dancing with the music. The free and big-hearted lives." In New Oerleans, the roots of jazz music, people add pop music into jazz’s cross-rhythm. They can forget about burdens in reality and swing lively. The locals even play second line music in funerals, the group dance along, move forwards with smiles and say good-bye. New Orleans Jazz 1:1 socks: We use colour blocks to present the rhythm of Jazz. Like the delightful atmosphere of second line music and dance, the geometric lines are cluttering on the socks. ∠ ragtime https://c1.staticflickr.com/5/4482/37849533756_c3d4bb4796_b.jpg https://c1.staticflickr.com/5/4452/37849533286_f221aff5ef_b.jpg ∠ second line https://c1.staticflickr.com/5/4510/37867179062_1997dafdd3_b.jpg https://c1.staticflickr.com/5/4505/37640851690_b5a66095df_b.jpg ∠ 3 in 4 https://c1.staticflickr.com/5/4506/37640859040_c01b4a20f3_b.jpg https://c1.staticflickr.com/5/4507/37640843910_27e18d1e12_o.jpg 70%cotton＋27%nylon＋1%polyester＋2%sp ▲Handwash at 30°C ▲Do not tumble dry About ＋10・10more ＋10・10more was established in Taiwan at the end of 2012. “No matter what kind of Cosmology you believe in, paying more attention to the details in our daily lives can irrigate our world and make it deeper and wider.” - +10’s ethos +10 bring imagination and superb quality into our everyday goods. Nature and sceneries are our creative inspiration. 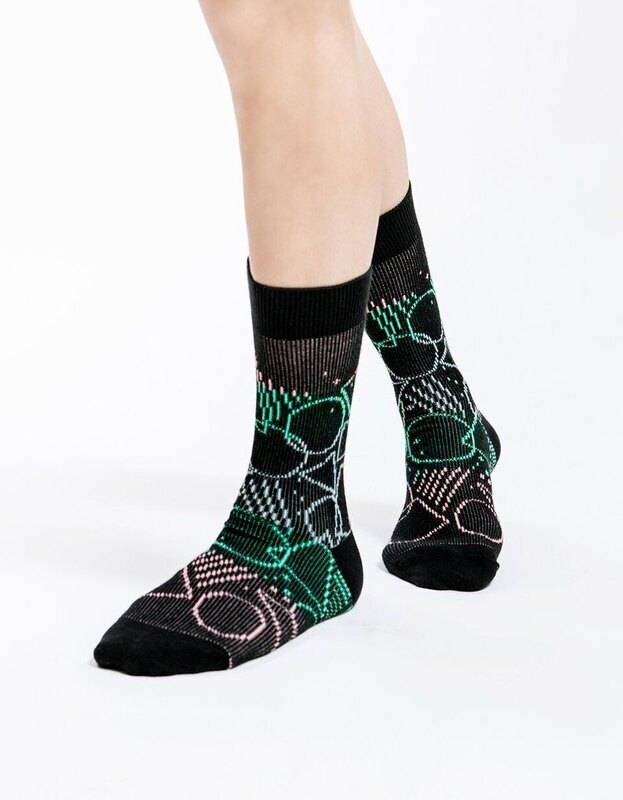 Combined with cutting-edge design and constant experiments in the traditional socks industry, +10 uses a rich variety of materials to open up your adventurous spirits and playful hearts to the world.